I am all about a good deal, especially when it involves sweet, heavenly delights. 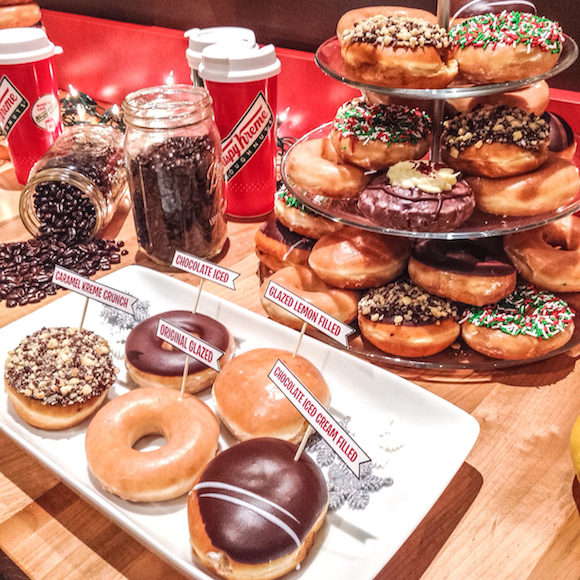 Last week, I ate my weight in doughnuts because when Krispy Kreme presents you with delicious doughnut after delicious doughnut after delicious doughnut, you really can't say no. Well, you can try, but you’d fail miserably. 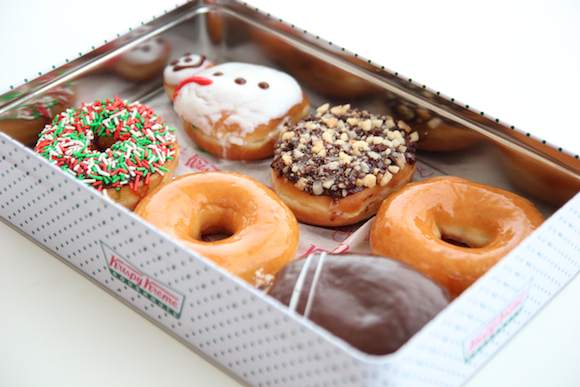 This Saturday, December 12th (12/12), Krispy Kreme is celebrating the Day of the Dozens, where when you purchase a dozen of their Original Glazed doughnuts, you receive a second dozen for free! 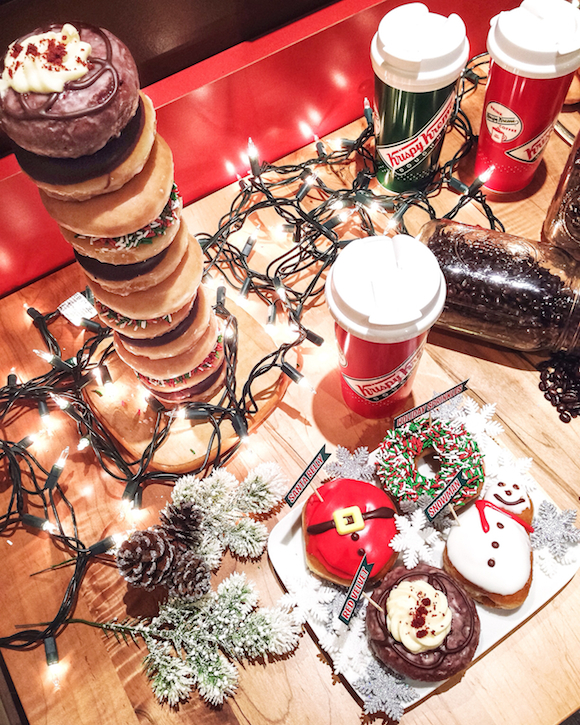 And who doesn’t love free doughnuts? 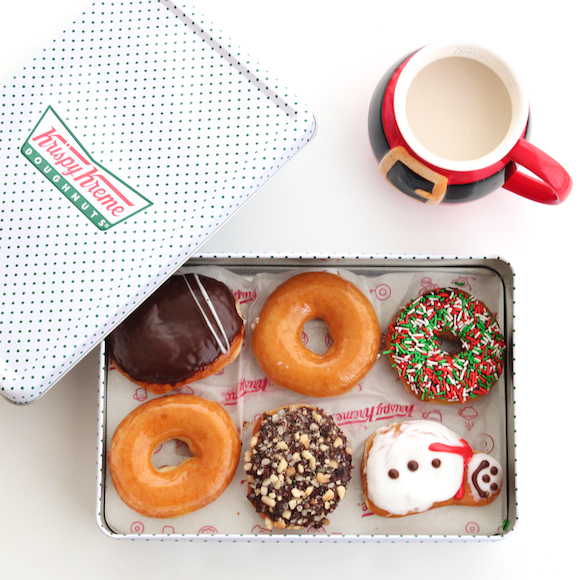 Although all their doughnuts are incredibly scrumptious, nothing beats their original glazed. When warmed up in the microwave at the perfect 8 seconds, something magical occurs in all its ooey gooey melt-in-your-mouth goodness. 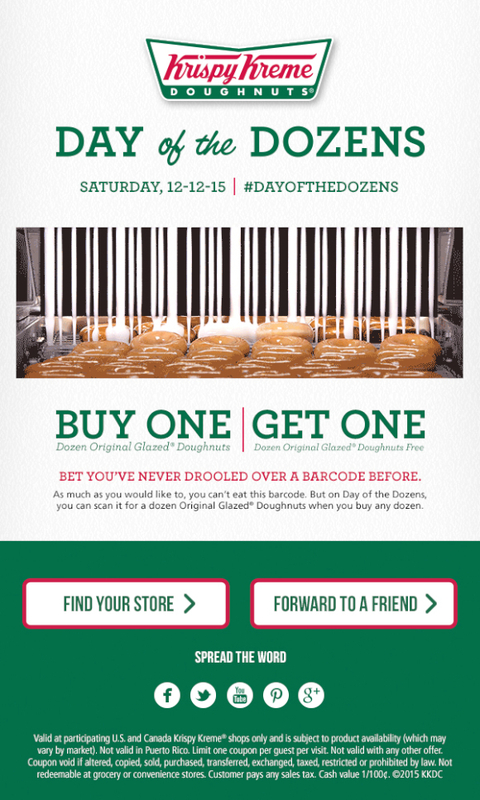 Before you run to your nearest Krispy Kreme on Saturday, don’t forget to present the coupon below. If you’re itching to get other flavours as well, some notable favourites of mine include Red Velvet, Caramel Kreme Crunch, and Chocolate Ice Cream Filled. Because let’s be honest, who can resist when there’s so many options? Day of the Dozens is being celebrated in both the U.S. and Canada, with the Canadian locations listed below. Toronto (downtown) - 164 McCaul St.
Toronto (downtown) - 215 Harbord St.
Don’t forget to use the hashtag #DayoftheDozens when capturing your drool-worthy shots.